Do you love dogs? Have you considered working with dogs? Dog grooming can be a rewarding and profitable career. In fact, the great news for animal lovers is that the dog grooming industry is booming in today’s society. 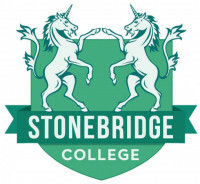 With the help of Stonebridge College’s Level 3 qualification, you could be starting your own dog grooming business in no time at all. This qualification will teach you how to groom dogs effectively and professionally. The course includes detailed information on your safety and the safety of the dogs, then moves on to discuss common issues with dog and educates you on everything from canine anatomy and first aid to bathing, brushing and trimming. This course is suitable for dog lovers of all kinds. If you plan to start up your own business, in premises or as a mobile dog groomer, this is the course for you. And If a career in dog grooming is not for you, you could save hundreds of pounds grooming your own dogs at home! You don’t need to have previous experience or qualifications. All you need is access to our online portal, a passion for dogs of all kinds and the motivation to succeed.